"You're one step closer to experiencing an exhilarating after-school activity! Destination ImagiNation teams are tested to think on their feet, work together, and devise original solutions that satisfy the requirements of mind-bending Challenges." See Noel McCauley for DI Questions. 1. Verify your background check with your campus liaison. 3. Contact Team Members and set up a time and place for practice. 4. Send your campus liaison an email with practice information. 5. Start practicing and be sure to include an Instant Challenge in every practice. 6. Have all team members fill out a Media/Medical Release Form. 7. Decide on Team Challenge and Team Name. 9. Turn in team forms to your campus representative. 10. Attend the Regional Tournament! Imagination Rocks!! 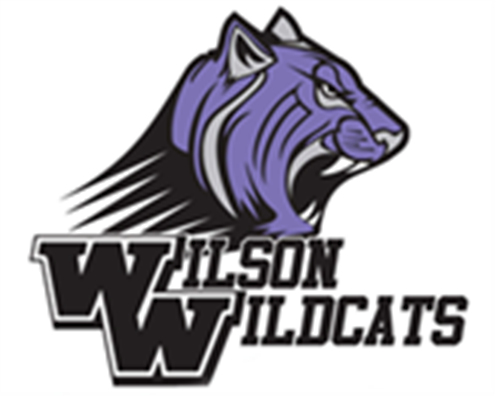 Go Wilson Wildcats! !